Business Detailed: Salvaterra’s Gardens is a family owned business that grows over 100 different varieties of high quality chemical-free vegetables. 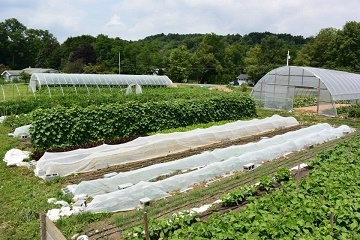 Salvaterra's Gardens began in 2008 as a small urban garden located in Allentown, PA. Now located in Alburtis, PA, we specialize in growing an incredibly wide selection of high quality produce. We combine the use of 1800's Parisian style gardening techniques with 21st century farming techniques to conserve resources while generating a high yield. Our produce is grown almost entirely by hand without the use of heavy equipment, synthetic pesticides, chemical fertilizers, herbicides or genetically modified organisms.